Singer-songwriter Jackson Browne will take to the road this summer with his band and longtime friend and musical co-conspirator David Lindley. 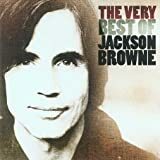 Comprising dates in the U.S. and Europe, the Jackson Browne with David Lindley Tour follows the May 11 release of Love Is Strange (Inside Recordings), a 2-CD live set capturing a tour of Spain that Browne and Lindley did in 2006. The Jackson Browne with David Lindley Tour begins with a month-long European leg kicking off in Bristol, UK on June 3. Other highlights include shows at the Stadpark in Hamburg, Germany (6/15), Casino de Paris in Paris, France (6/18), Hampton Court Palace and Royal Albert Hall in London (6/8 and 6/29, respectively), the Marquee in Cork, Ireland (6/23), and the Summer Pops Festival in Liverpool, UK (7/2). Stateside, the Jackson Browne with David Lindley Tour gets underway July 20 at The Joint at the Hard Rock Hotel and Casino in Las Vegas. U.S. dates run through late September. Highlights along the way include Humphrey's in San Diego (7/21), Greek Theatre in Los Angeles (7/23), the Greek Theatre in Berkeley, CA (7/24), Red Rocks Amphitheatre in Morrison, CO (8/5), Nokia Theatre in Grand Prairie, TX (8/13), Chastain Park Amphitheatre in Atlanta (8/15), Bank of America Pavilion in Boston, MA (8/28), Beacon Theatre in NYC (9/14), Fox Theatre in Detroit (9/18), and the Chicago Theatre in Chicago (9/23). Accompanying Jackson Browne and David Lindley on tour will be Browne's band of almost 20 years: Kevin McCormick (bass), Mark Goldenberg (guitars), Mauricio Lewak (drums) and Jeff Young (keyboards, backing vocals). They're joined by members (since 2008) Chavonne Stewart and Alethea Mills, vocalists Browne (as a mentor) met in 2001 when they were attending Washington Preparatory High School in South Los Angeles, singing in the school choir. On record and in performance, Jackson Browne and David Lindley have a musical association reaching back almost 40 years. Regarded as a legendary stringed-instrument virtuoso, Lindley has played on many of Browne's albums, beginning with 1973's For Everyman, and on classics including Late For The Sky and The Pretender (the latter two both on Rolling Stone's list of the 500 Greatest Albums of All Time). 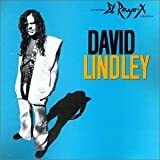 Browne also produced Lindley's best-known LP, 1983's acclaimed El Rayo-X. Prior to 2010's Jackson Browne with David Lindley Tour, the last time the two musicians played live dates together was a 2006 run of concerts in Spain--in grand concert halls, rock venues, and intimate clubs alike. That tour resulted in the forthcoming 2-CD album Love Is Strange, "En Vivo Con Tino"-- featuring Browne and Lindley live with celebrated Spanish percussionist Tino di Geraldo. Set for worldwide release May 11, 2010 on Browne's independent label Inside Recordings, Love Is Strange was produced by Jackson Browne and Paul Dieter. In liner notes Browne wrote for Love Is Strange, he considers Lindley's reputation for elusiveness, nearly as mythic as his string-playing prowess. "Why had I not thought of this before? Take him where he doesn't speak the language and he will HAVE TO leave the gig and come with you to the restaurant, or to the club," says Browne. "This was an unexpected strategy breakthrough in a pursuit that for a legion of friends, disciples and admirers has become known as 'stalking the wild Lindley.'" 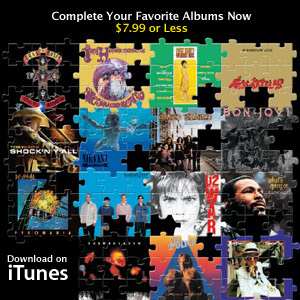 The breakthrough continues with the not-to-be-missed 2010 Jackson Browne with David Lindley Tour.